Living in mansions and driving BMWs was never my passion. But right from my childhood I wanted to be rich enough to fulfill my small but expensive desires like having a Rolex watch on my hand or drive in a Toyota Camry. But as I grew and saw the world advancing, I slowly began to understand the meaning of a very old saying that “only if you aim for the sky, you will land among the stars.” And that applies for almost every living soul on earth. A former university professor and the co-author finance books like “The Millionaire Next Door”, Thomas J. Stanley has once again shared his experience of examining the truly rich people in his book, “Stop Acting Rich . . . and Start Living Like a Real Millionaire.” (Wiley, $17.79). The author highlights that the credit, recession and crisis have presented us with the opportunity to treat and cure the pretenders. “For the treatment to work, you must take a cold hard look at your balance sheet and at your life, and determine if you would be wealthier if you would stop acting rich,” he writes. 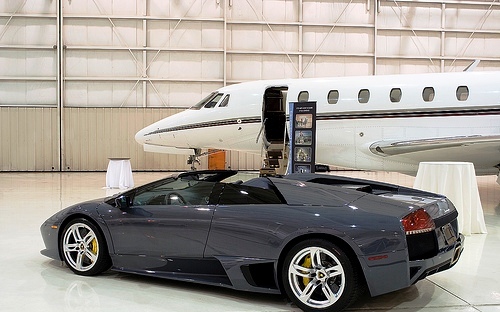 •	86% percent of all prestige or luxury makes of motor vehicles are driven by people who are not millionaires. •	Typically, millionaires pay about $16 (including tip) for a haircut. •	Nearly four in 10 millionaires buy wine that costs about $10. His only aim behind the research is to make people aware of a very simple truth of life that only if people stop acting rich, they would be able to achieve the kind of happiness money can’t buy. The realistic book will help people get closer to reality, that pretending will never bring contentment or the real joy. Only accepting the fact that acting rich is far away from actually being truly wealthy will help them find the bliss of happiness. Next story How Much Is A Trillion Dollars? Previous story Purchase Versus Leasing, Which Is Better? Want to get EOD Charts for long term analysis with all technical indicators. Well need not wait anymore get live order status with real time order tracking. Find all this on reliance money Super Trade facility. A couple of years ago I did a post on how rich people spend their money. In doing the research I was surprised to discover that most don’t spend it on Mercedes Benzes and private jets (even NetJets). The majority are fairly frugal. I have known many rich people in the course of my business, and the tend to be frugal to the point of being cheap. Oh, they’ll spend money, but they have to be convinced they are getting a fantastic bargain on something, and even then it is usually something they need to buy anyway. .-= Debt Free´s last blog ..– Mortgage Debt Consolidation – What to Watch Out For =-.